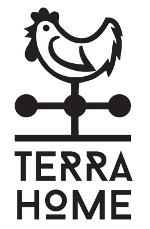 Terra Home is a Real Estate Agency that offers consultancy and technical specialized services for the ordinary or extraordinary and the esteem of property in Puglia. Thanks to the great professionalism of our stuff, Terra Home Real Estate makes available a long-standing experience for anyone who need to sell or rent its property. We have efficient promotional and communication instruments that guarantee to the property a wide-ranging, targeted advertisement. Our technical team lead then our clients to writing the most important documents concerning the property, from the energy performance certificate (APE) to restoration procedures,from certificate of occupancy to cadastrial variations. For anyone who wish to invest then on the purchase of a property in Puglia, Terra Home guarantees a wide range of choices of all kinds of properties, no obligation inspections, negotiations, editing and registration of draft contracts. A team of architects, designers and competent artisans will help customers to identify new planimetric solutions, hypothetical furnish both interiors and exterior as well as a real integral restorations.